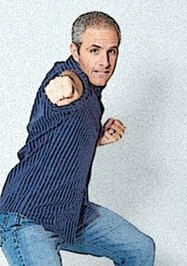 David Sirota is an author, nationally syndicated columnist and radio host living in Denver, Colorado. His work focuses on the intersection of pop culture and politics. He is the author of three books: Back to Our Future (2011), The Uprising (2008) and Hostile Takeover (2006). His syndicated column appears weekly in newspapers with a combined circulation of 1.6 million readers. He hosts the morning drive-time radio show on Clear Channel's KKZN-AM760 in Colorado. If you'd like to have Sirota talk about any of his books at your book club, civic group or local bookstore, go here to find out how to do that for free. The unwritten and unspoken story of the budget showdown in Washington is the tale of both parties deliberately working to once again exempt the ever-growing Pentagon from America's larger budget/deficit discussion. We’d love your help. Let us know what’s wrong with this preview of Rock and Roll Will Save Your Life by Steve Almond. We’d love your help. Let us know what’s wrong with this preview of Not That You Asked by Steve Almond. We’d love your help. Let us know what’s wrong with this preview of My Life in Heavy Metal by Steve Almond. We’d love your help. Let us know what’s wrong with this preview of Downtown Owl by Chuck Klosterman.